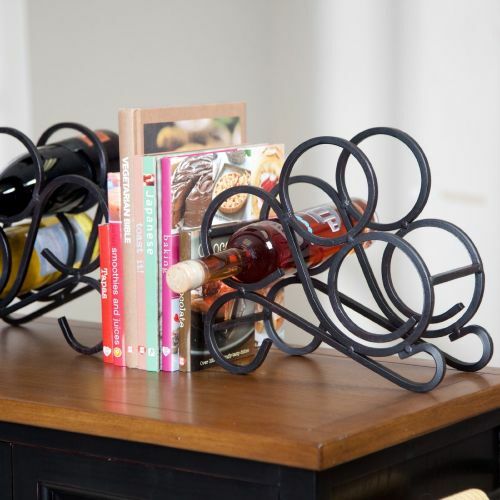 Draw attention to your bookshelves with this beautiful scroll wine rack bookend. If you only keep a few bottles of wine, this bookend is a great way to go. The bookend wine holder accommodates 3 bottles of wine. Made of Heavy Black Wrought Iron, for a lifetime of use. 11" x 10-1/2" x 5-1/2".